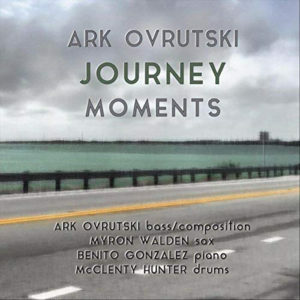 Although by its suggestion of relative fragmentation the structural plan of Journey Moments by the contrabassist Ark Ovrutski follows a familiar enough trajectory encompassing not only the various musical styles and idioms that he has encountered from his life back in eastern Europe to his eventual destination in the United States, but it also suggests life itself. According to the vignettes – nine in all here – their fragmentary nature is united in robust bass line melodies that are reflected in the muscular narratives underscored by the sinewy soli by Mr Ovrutski, his bass dropping the melodies deep within the music’s dark and sometimes bright incandescence. There is not much soloing; most of it is handed to the lead voices of Benito Gonzalez’s energetic pianism and the eloquent, fiery rhetoric of Myron Walden’s saxophone. In many ways the music of Journey Moments reflects the first tentative steps taken by Mr Ovrutski who first felt this music from afar before he connected with from the inside out. Appropriately then he should begin with the vibrant excursion to New Orleans and the so-called cradle of Jazz. “Second Line” – not a jabbering imitation, but a real, live emotional sublimation of the experience is at the heart of this music. Along the way Mr Ovrutski connects with mentors such as in the warmth and puckishness of Frank Foster’s “Simone”, in Wayne Shorter’s wonderfully hip “Lester Left Town”, and in the chromatically challenging Ron Carter exercise for bass line melodies “For Toddlers Only” and finally in the magical rhythms of Herbie Hancock’s “Dolphin Dance”. 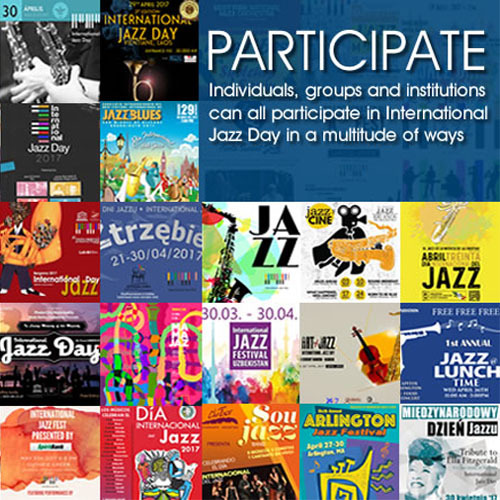 But at the heart of this music is the experiences of Mr Ovrutski – a sort of running down to earth and starting his Jazz-life from the gris-gris and gumbo of New Orleans to the ebullience of the high-life of “Uptown” the complexity of which melody requires quite a few jumps through harmonic and rhythmic hoops all of which are performed with the musical equinity typical of thoroughbred musicians. Throughout, the simplicity and immediacy of Mr Ovrutski’s musical language is not that far removed in character and spirituality from the African-American creators of this music – its most authentic practitioners of the art of Jazz. And his music language is also as appealing as theirs phrase-for-phrase. Listen to the ease and appeal with which he wrestles the idiom from the ineffably elegant rhythmic lines of the brilliant McClenty Hunter every time he is required to. It all makes for a most authentic and expressive performance of the music that Mr Ovrutski seems born to play as he journeys through its life-giving beauty.